Some weeks ago, I attended a vision board party. 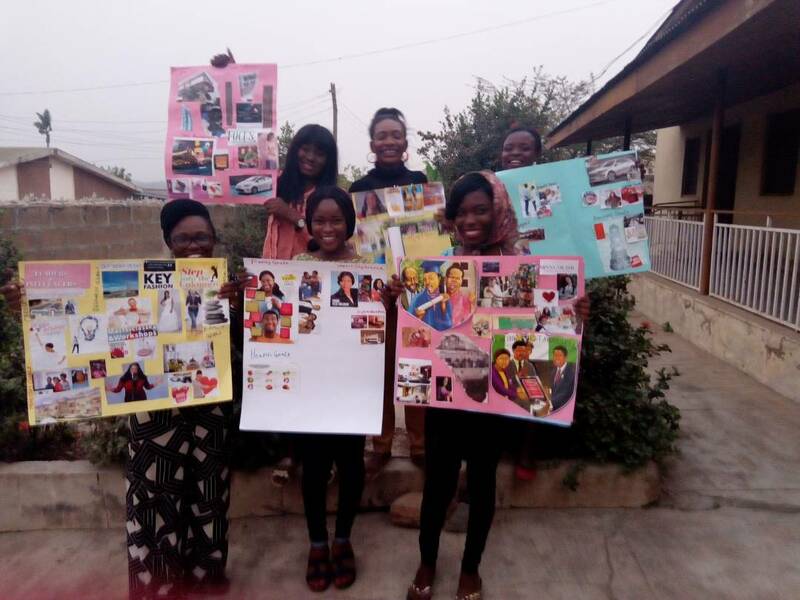 Am sure you are wondering what a vision board party is? Not to worry, I will explain it. But first what is a vision board. A vision board is collection of images representing things you would like to attract to your life. Vision boards can focus on every and any aspect of your life, like career, love life, or goals for the year. is a party (cause there is plenty to eat and drink and some music) with a select few who will set goals, visualize them and strategize with respect to their vision and plans. Sometimes last year, I hosted a vision board party with two of my flatmates, and it was fun. 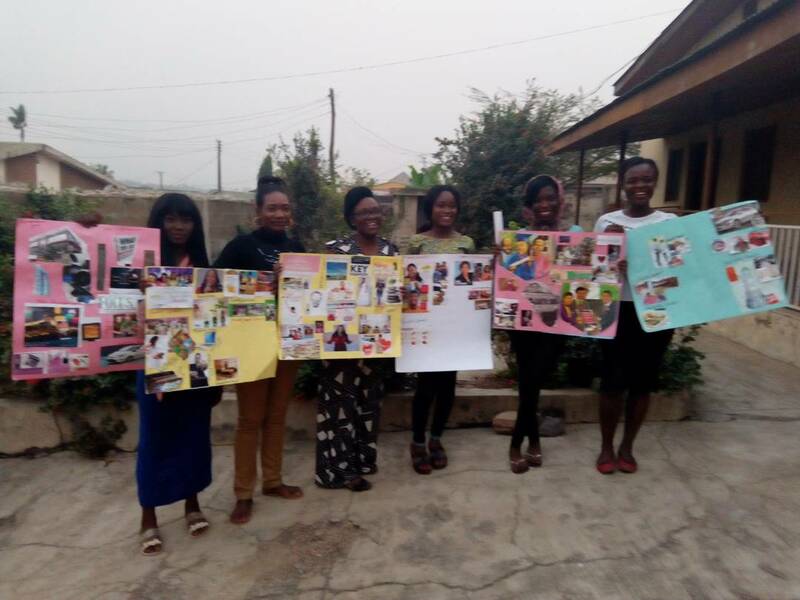 This year, I really wanted to attend/host another vision board party, so I shared on a whatsapp group that I was part of. 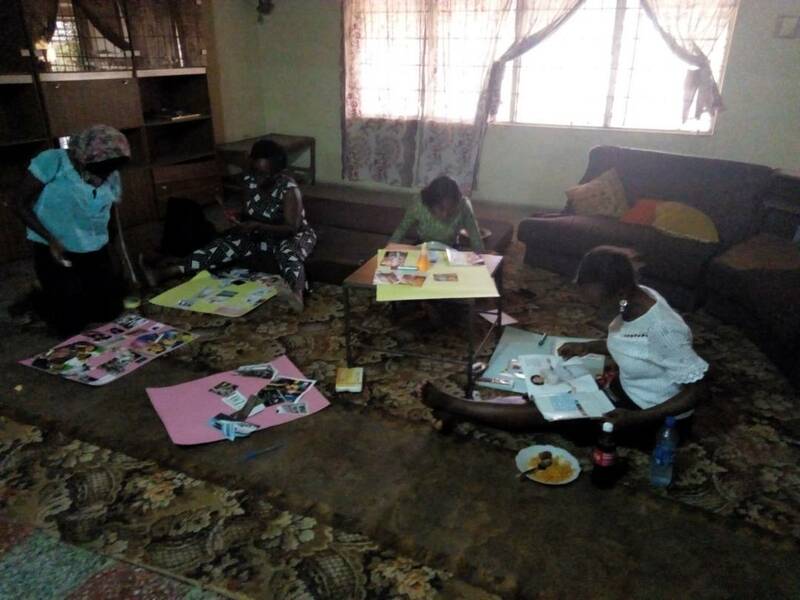 Thankful, Mrs Smith (the creator of the whatsapp group and the CEO of Datina Designs a foremost fashion outfit in Ibadan), had also being nursing the idea, so she offered to host us since we planned to host about 10/15 ladies. Vision Board parties are more effective with a smaller crowd. So we got to work. We requested a few things: card boards, markers, rulers, scissors, glue sticks, old magazines and written goals. Mrs Smith also requested that they think about their goals prior to the event and begin to cut out images and words from magazines and the internet that represented those goals. 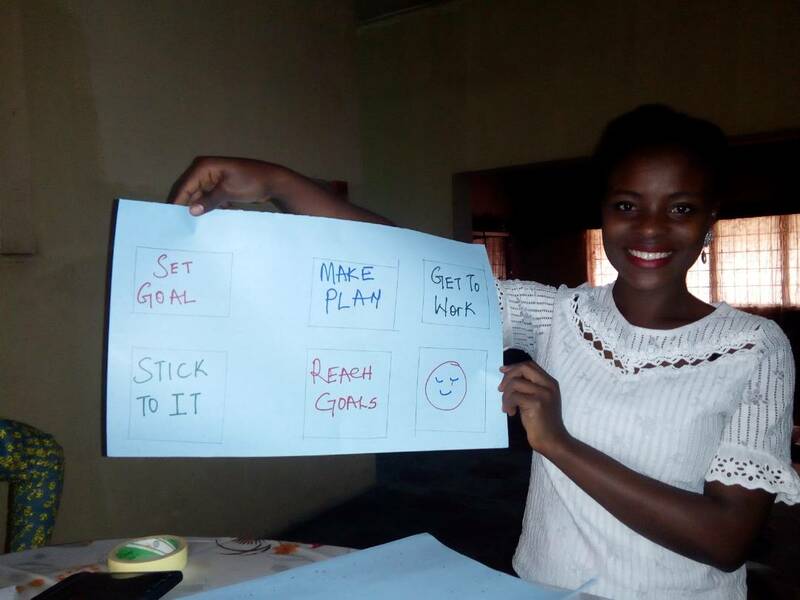 At the vision board party, we had a talk about goal setting (will share some insights shortly). Then we all wrote down our goals for the year. And lastly we put our goals to life. I will explain all the processes shortly. Here emphasis was laid on the importance of setting goals and the types as well as actualization period for goals. So goals are broadly in three categories in terms of time frame. Also, I shared from Brian Tracy’s book, “Eat that Frog”, Seven simple steps to follow in order to actualize your goals. Step three: Set a deadline on your goal; set subdeadlines if necessary. A goal or decision without a deadline has no Urgency. Step four: Make a list of everything that you can think of That you are going to have to do to achieve your goal. As you Think of new activities, add them to your list. Keep building Your list until it is complete. The potency of a to do list cannot be over emphasized. Step five: Organize the list into a plan. Organize your list by priority and sequence. Take a few minutes to decide what you need to do first and what you can do later. Step seven: Resolve to do something every single day that Moves you toward your major goal. Build this activity into Your daily schedule. The second activity we had was Goal writing. Its so easy to just talk about the goals but most important is writing. The faintest pen they say is better than the sharpest brain. Writing is powerfully. So with that understanding we set goal in the following areas of your life. Educational / Personal Development Goals. Career / Profession / Occupation Goals. Real Estate / Infrastructure Goals. Societal Impact / Legacy Goals. The third activity was the making of our individual vision board. I enjoyed this activity the most, it was so much fun, selecting and cutting pictures out of magazines. ​To make a vision board, cut pictures and phrases out of magazines, print images from the internet, and include your own photos in the collage. Next glue the images and words onto a piece of card board paper, tag the images in an orderly manner and place it somewhere you can see it on a regular basis. 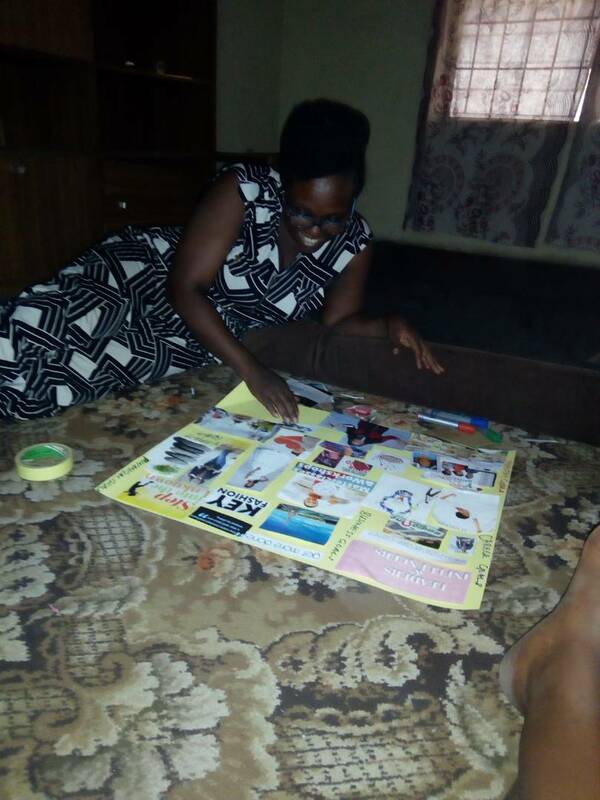 There is a way, seeing the vision board regularly keeps you on your toes and inspires you. Here’s a quick suggestion. in case you don’t have friends with whom you can host a vision board party, you can have it with yourself. Get some papers, old magazine, pictorial, have a drink and get to party. He that fails to plan, plans to fail. Wao Hephzibee, this is nice and I pray that you will achieve all your goals and visions in Jesus name. Wehdone sir, some of us thought you were going to give us a post on Valentine…..
Lovely idea. This was something I came across for the first time. I guess I can also host this one. Yes. Was worth d work. Nd since we r many it made it easier. You shud try it. It’s fun. This looks like fun and I love the idea. I’ll try it too. “If you fail to plan, you plan to fail.” That stuck! Thanks for the beautiful comment @Binaware. Thanks especially for stopping by. Thanks ma. Means alot to me. Thanks for following. Would love to read your blog post on vision board. We all look but see differently. Love it! I did a Vision Board once at a little workshop here where I live. We weren’t told much about why we were doing it but once complete and the layout explained, it was so interesting to see what I had chosen to paste on the board, my written thoughts and goals and where I had placed everything. Quite an eye opener I must say. Thanks for this very interesting post!